Please complete the following reservation request and upon receipt of your request, we will contact you to confirm a flight time and answer any additional questions you may have. Your reservation is not confirmed until we have contacted you with details and your credit card has not been processed until you are emailed a reservation confirmation. Your reservation confirmation will contain details regarding your tour, including all applicable discounts. It will also provide directions to our pickup location at the Ketchikan Visitor Bureau. All pickup times are approximately 20 minutes prior to the tour departure as listed on your reservation confirmation. Departure times are approximate and dependent upon weather conditions. We will make every effort to accommodate your preference. Please note that your credit card will NOT be processed until we have contacted you and confirmed your reservation details. Cancellation Policy: For all reservations, a 100% deposit is required at the time of booking. To qualify for a refund, cancellations must be made 14+ days prior to the date of service. Cancellations made with 14 days prior notice are fully refundable less a $25.00 per person processing fee. Cancellations made less than 14 days prior to date of service and no-shows are non-refundable. Flights cancelled due to cruise ship delays or bad weather automatically qualify for a full refund. Thank you for your interest in our Flightseeing and Crab Feast tour. See you soon! 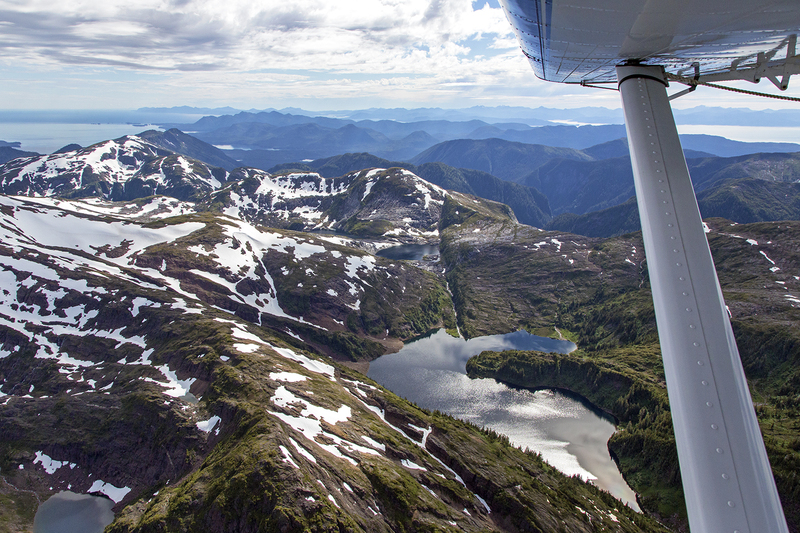 SeaWind Aviation, Inc. operates under special permit from the United States Forest Service and is an equal opportunity provider. Copyright © 2004-2019 SeaWind Aviation. All rights reserved.